Step 2: Duck as Loraine throws her dead ficus tree at you, ceramic pot and all (the potted hulk of the dead ficus hurls past you and explodes on the wall of your cube, narrowly missing that velvet Elvis tapestry you have hanging there. 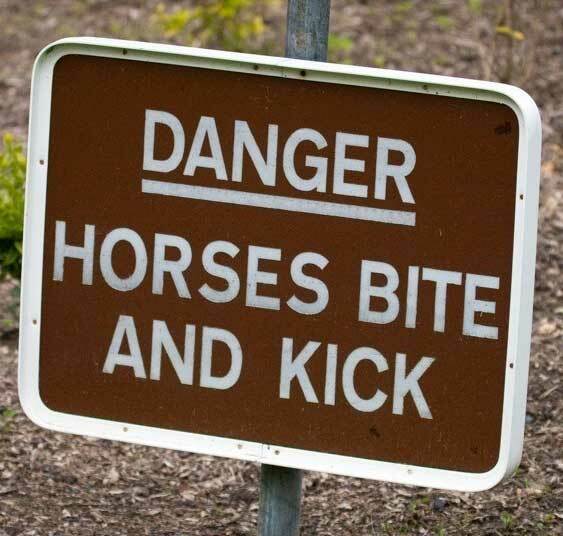 But, at least you’re not hit). Step 3: Call Google and beg forgiveness. Well, that could work. If they cared. And if they had a phone number. And if they cared. Step 4: Admit to yourself you’ve emailed a spamtrap and read the rest of this article. How do I know I’ve emailed a spam trap? I use Gmail as an example here because they are one of the big cahunas of the email world and they also don’t always answer their phone and jump at the chance to gladly unblock your emails just because you asked nicely and sent them flowers. 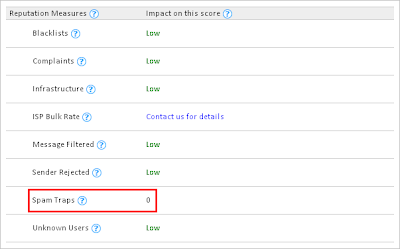 You routinely monitor SenderScore.org for your IP address’ reputation and instead of looking like the below screenshot which shows a sender score of 97, it sports a score more like 63 (owee), or 24 (big owee). Brittany, who works at the coffee house on the corner, while sipping an iced frapamochachino latte, said “your boss was just in here! And he was fuming mad at you!” For some reason, she was laughing hysterically. She thought the situation was so funny that a little coffee came out of her nose when she laughed. To use Sender Score, you’ll need to find out from your email software provider from what IP address you are sending mail. Keep in mind that in all likelihood, you are sending mail on an IP address that is shared with other customers. For email marketers sending less than 50,000-100,000 emails per month, it is recommended that you be on a shared IP instead of one dedicated for your own use. Lower volume senders like this are not likely to have enough email volume to properly build a good sender reputation in the first place. That’s why sharing an IP address is a good idea in this case. I don’t envy you about that situation with Brittany in the coffee house though. That whole “coffee coming out of the nose” thing is sacrilege. To waste good coffee like that. What do I do if I’ve emailed a spamtrap? Permission, permission, and permission: Confirm all your sign-ups. The very best way to avoid adding spamtraps to your list, be they normal-looking addresses like FredUser@somedomain.com or typo’ed domains like FreddyUser@htomail.com is to ensure that A) sign-ups don’t bounce, and if they do, remove them immediately and B) confirm opt-in to your list. That means your initial message is a confirmation message that requires the recipient to click a link or otherwise take action (logging in) so as to complete the loop. Also, never buy or rent lists, they are ultimately a scam, and do not have the requisite (legal) permission. Keep track of your segments –keep track of sign-up dates and times (especially if you aren’t confirming subscriptions), and your mailing times, campaign ids, and so on. Completely remove any segments that immediately garner trap hits you see from monitoring services. Process bounces and complaints immediately. A common type of spamtraps should, by their very nature, be addresses that have bounced for at least a year if they are reclaimed addresses or domains. Other traps can be made by inserting addresses surreptitiously onto forums and other places that gather addresses illicitly by scraping or tricking the user to signup for ‘free’ iPhone 5s or whatever. See my advice about purchasing lists (this means you too – co-registration folks. If you want to grow your list in this way, the lists should be 100% confirmed / double opt-in). Narrow down your list until you locate the spamtrap. Despite all these steps, you may still find yourself with spamtraps on your list – sometimes the trap owner won’t get around to complaining of blocking your campaigns until well after they’ve been added to your list. Try this: segment your list by half, send, see if you are still hitting a trap, cut that list in half again, in a continual series of A/B tests. Or, you can email your entire list and ask them to “re-confirm” (usually by offering a bonus for re-confirming, to encourage people to do so). While this sounds onerous, and you will likely lose a lot of subscribers, if these people aren’t buying, or aren’t engaged, you might as well ditch them anyway. Which brings me to my last point: Beyond spamtraps, large receivers are now heavily into using recipient engagement as a decision point to delivering your mail. If people aren’t opening or clicking your messages in a reasonable period of time, you would do well to offer those folks a bonus to re-engage, and if they don’t, drop them from your list. Your email delivery will thank you, as will your ROI and bottom line. 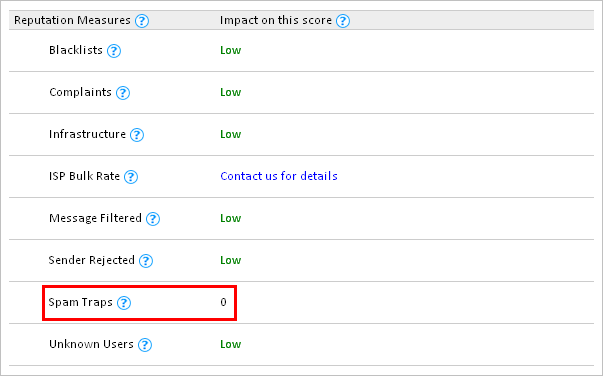 Gmail does not contribute data to Senderscore.org, so while a poor score may indicate issues Gmail is seeing (because they appear elsewhere as well) it isn’t 100%. You can have a good Sender Score, and poor performance at Gmail, or a poor score, and get (good) Gmail delivery. Neil Schwartzman is the VP, Sender & Receiver Relations at Message Bus, and the Executive Director of CAUCE, the Coalition Against Unsolicited Commercial Email. Neil has been quoted in the Washington Post, New York Times, L.A. Times, CNET, Reader’s Digest, and the Chicago Tribune on spam-related topics. He has over 17 years of experience in the email and spam prevention industry. You can read more at http://news.messagebus.com. 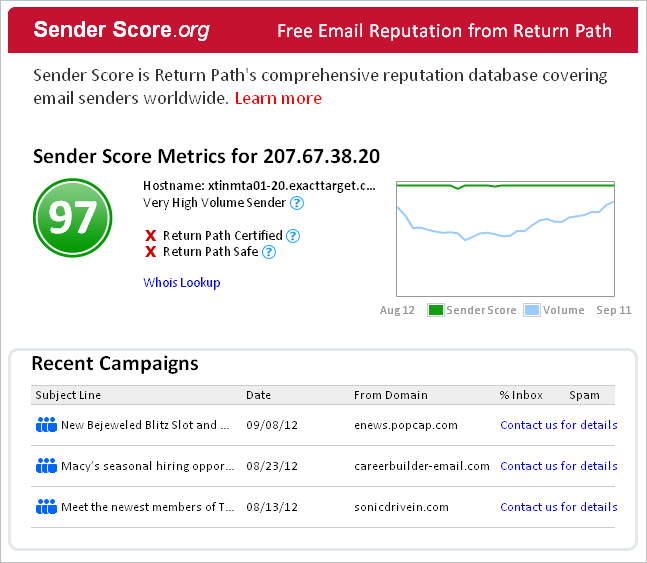 * SenderScore.org can tell you that you or someone who is also sending mail on the same IP address has hit a spam trap. If you are like most marketers, you are sending mail on a shared IP address. In most situations that’s fine, but it has some limitations, like this one.